A view from the top presents a good perspective of things, different from the view on the surface. Every view has its own version of truth. 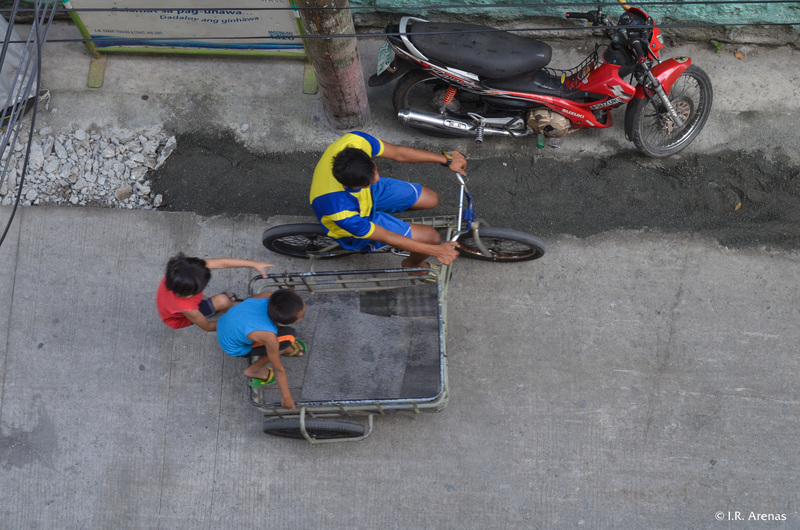 Here, the biker tells the children, who pester him, to get off his sidecar.